Artificial Intelligence (AI) enables computers to make human-like decisions, creating efficiencies that were previously unachievable. AI powers everyday technologies such as search engines, self-driving cars, and facial recognition apps. This technology is also leveraged for consumer identity access and management to protect consumers and businesses against fraud. Banking, healthcare, government and many other industries employ ID verification and authentication to get accurate information about their customers and prevent ID fraud. As fraudulent transactions continue to rise, the need for a strong, customer-friendly identity proofing solution becomes critical. Artificial Intelligence, and its subsets of machine learning and deep learning, make it possible to accurately process, verify, and authenticate identities at scale. 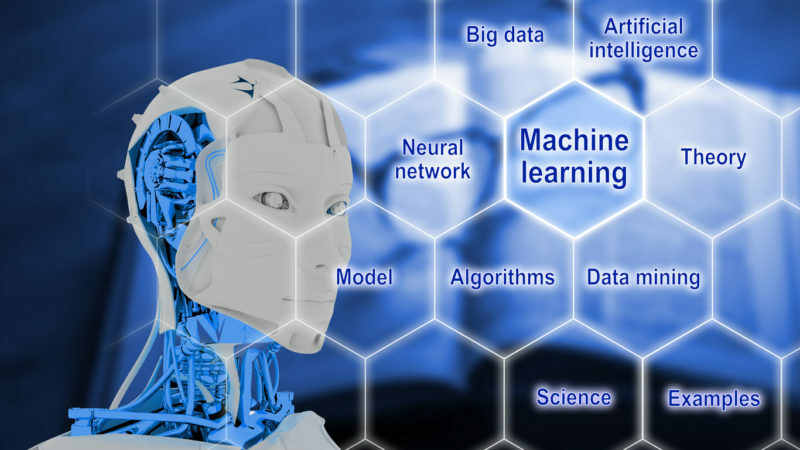 Machine learning enables solutions to continually improve by learning from their data collection mechanism. This, in turn, informs the operation and performance of the software. For an in-depth look at machine learning and how it applies to your industry, read our latest white paper: Beyond Machine Learning. Machine learning is an extremely efficient tool for discerning between real and fraudulent IDs. Computer software that is constantly learning and correcting itself can process millions of transactions at a rate unachievable by human experts. However, IDs are physical documents that endure wear and tear, and may feature manufacturing discrepancies. If the model for passing or failing IDs is based on only a few samples, many real IDs will fail the test. This is where human oversight comes into play. Trained professionals using the software can step in to prevent bad customer experiences when the software flags a legitimate ID because it is damaged or worn. During the rare instances where the computer fails to identify what is wrong with an ID, the professional can apply their expert eye, determine what error occurred and teach the computer how to spot the issue in the future. This creates a different method of learning where new information is being input to the learning model so the model can improve. The benefits of machine learning combined with human expertise is the current standard in identity proofing solutions. Businesses want to be able to approve all good customers from the start with no friction. A good ID verification solution will do just that. In addition, when looking for a provider, businesses need to consider scope of expertise. Providers experienced in ID-based transactions across multiple industries help to ensure machines will have a model that has encountered multiple scenarios for failing or passing an ID. Artificial Intelligence increases customer security and prevents fraud. Identity proofing providers are a trusted source to collect evidence of fraud, and through machine learning, that evidence can be analyzed and applied continuously to ensure higher accuracy. Acuant is among the world leaders in applying machine learning to identity proofing solutions. Over the past 20 years, Acuant has accumulated the industry’s largest identity document library with government-issued ID documents and passports from over 190 countries. Acuant technology also has the ability to read characters in almost any language to ensure business are providing the most customer-friendly experience to instantly approve more good customers. To join Acuant’s group of industry-leading partners, talk to an ID Solutions Specialist today.